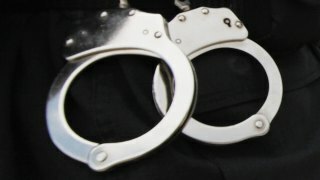 A 25-year-old San Pablo woman was arrested after she was found asleep in a hot car with her 2-month-old daughter inside on state Highway 17 in San Jose on Monday afternoon, according to the California Highway Patrol. Arianna Rolling was arrested after a Freeway Service Patrol tow truck operator found her asleep in a vehicle on the right shoulder of northbound Highway 17 south of Interstate Highway 280, according to the CHP. The tow truck operator called the CHP and an officer arrived to find the infant asleep but "panting" in 90-plus degree heat, CHP officials said. The baby was taken by ambulance to Santa Clara Valley Medical Center and is currently doing well. Rolling was arrested at 4:39 p.m. and booked into Santa Clara County Jail on suspicion of driving under the influence, obstructing a peace officer and child endangermentaccording to the CHP. According to jail booking logs, she will be arraigned on Wednesday.